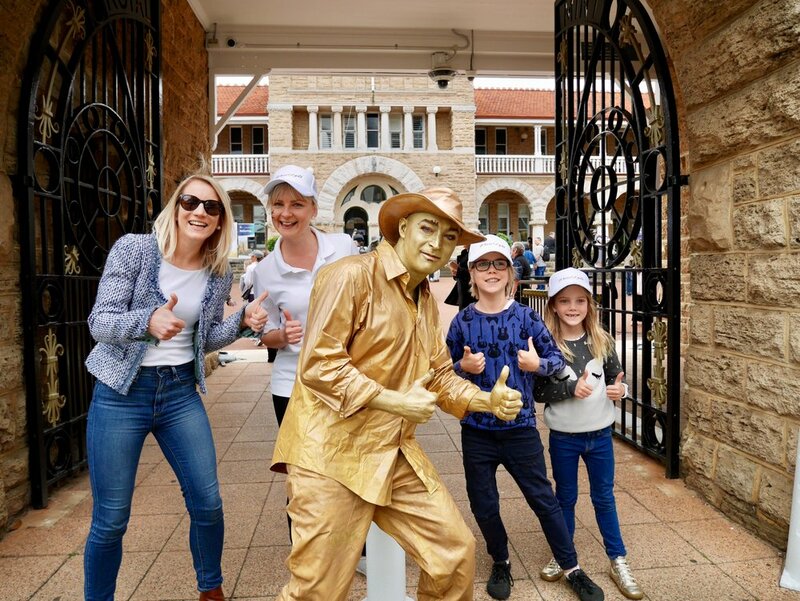 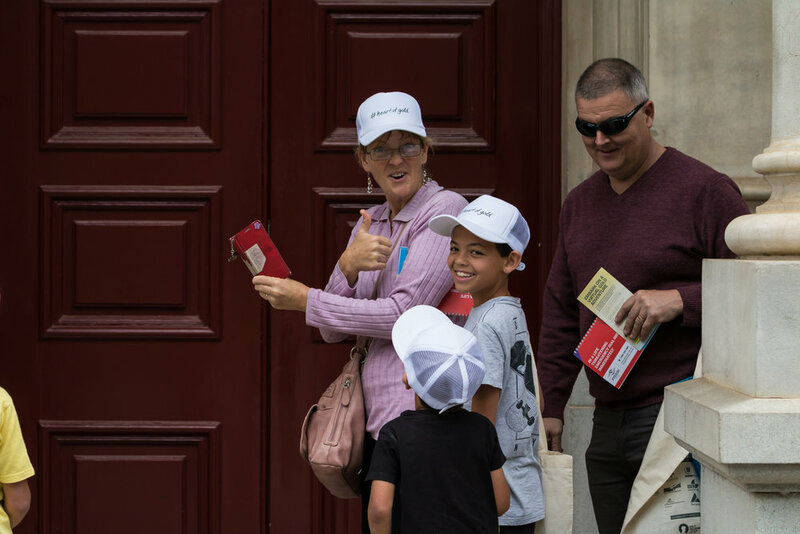 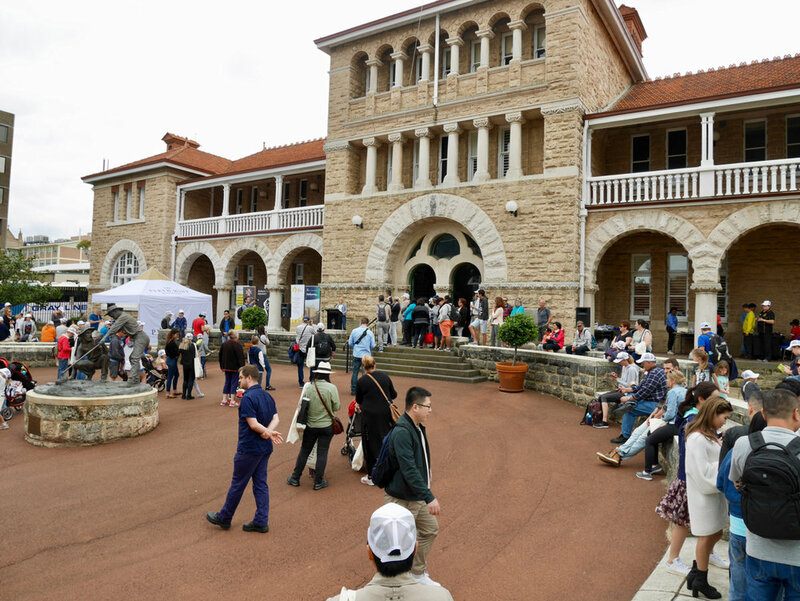 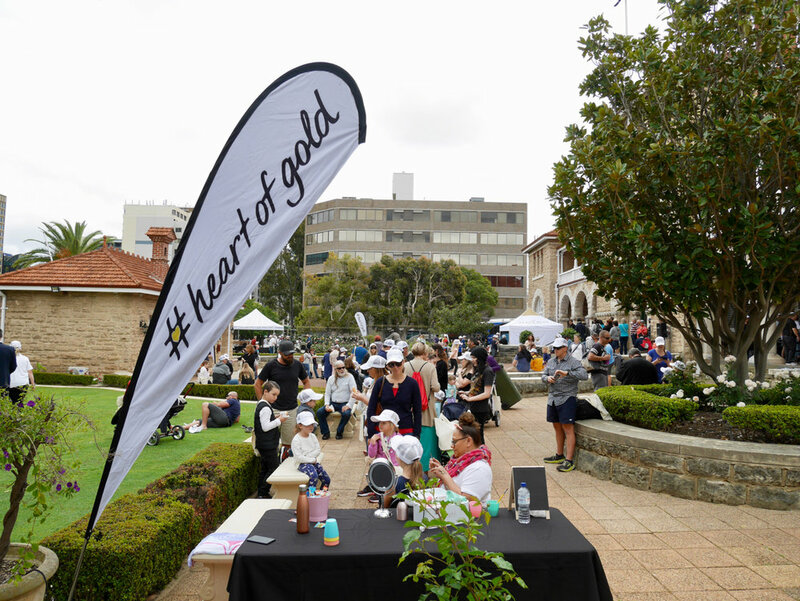 Coinciding with Heritage Perth Weekend, the event celebrated the important role gold has played and continues to play in the development of the State, bringing the stories of early prospectors who first discovered gold, as well as the operations of today, to life. 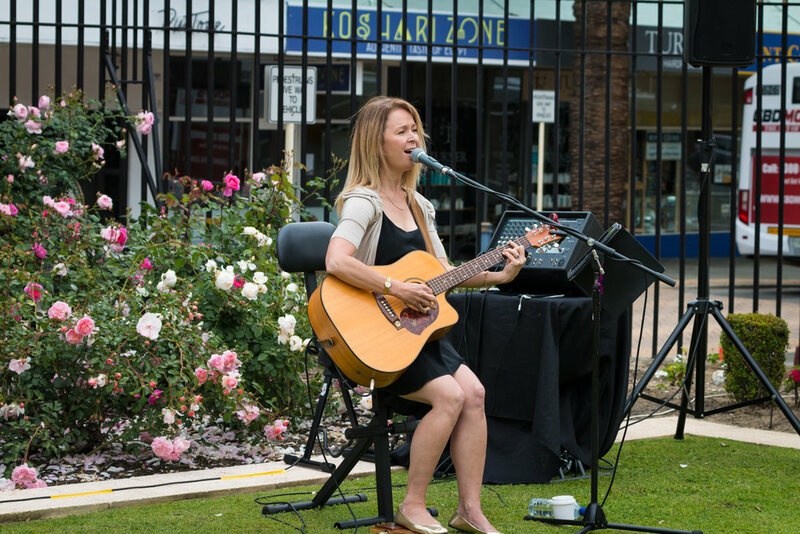 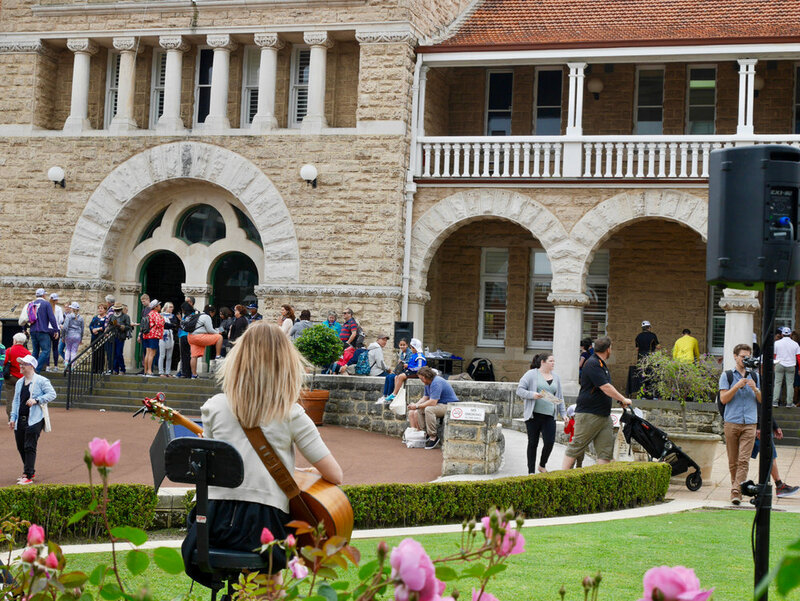 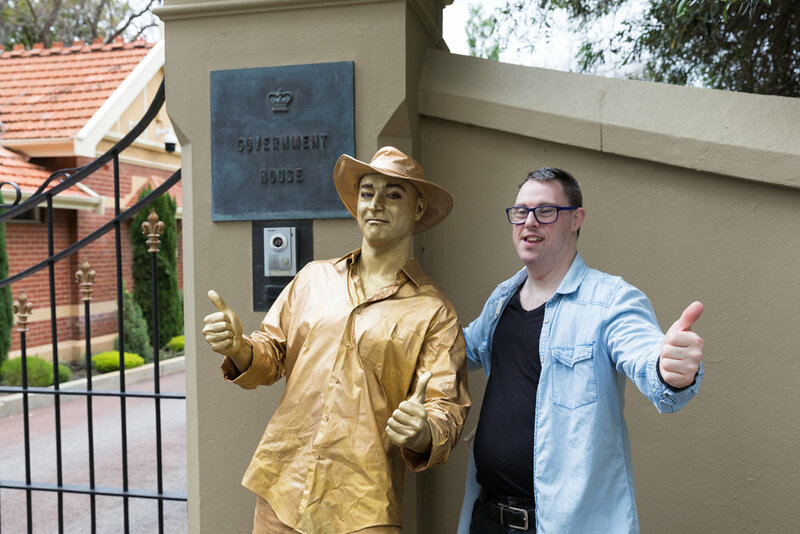 The event kicked off in the forecourt of The Perth Mint, where GIG Vice Chair Kelly Carter officially opened the reverse trail and MC Tim McMillan worked the crowd immersing everyone in the golden vibe. 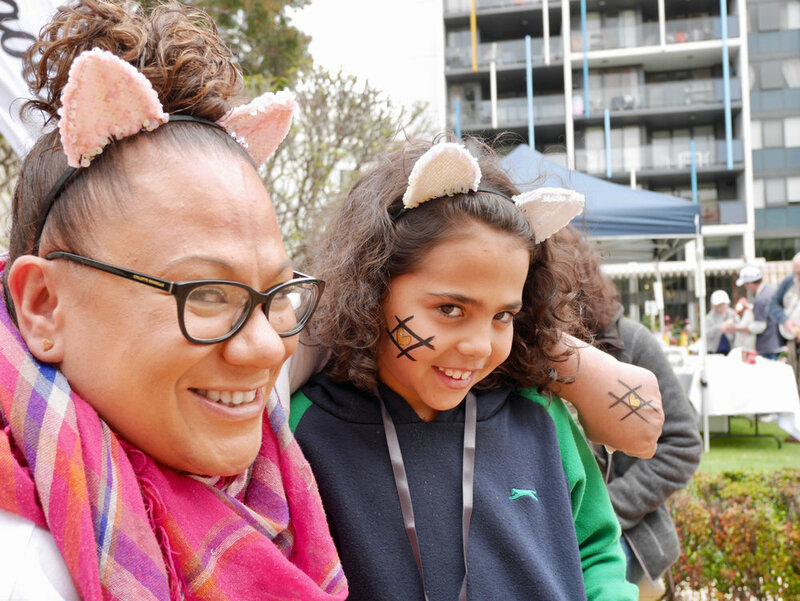 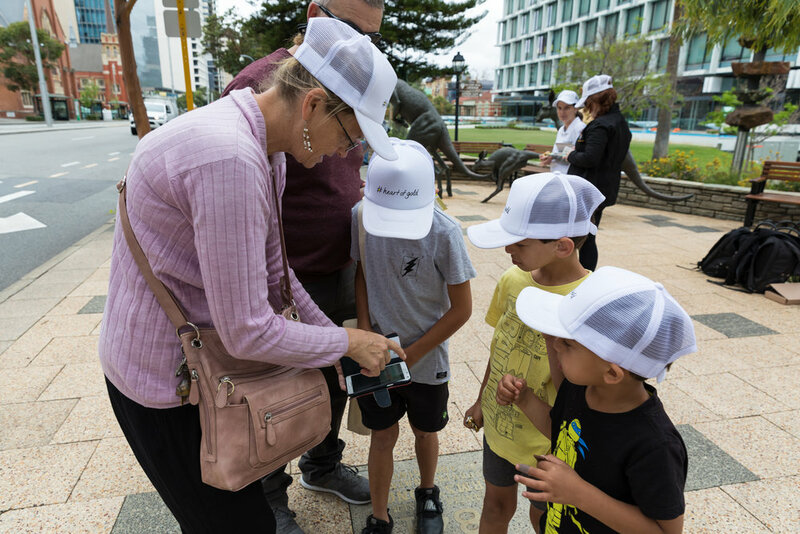 “It was great to see the event attracted and engaged a mix of locals, families, students, tourists and industry representatives,” said Ms Carter. 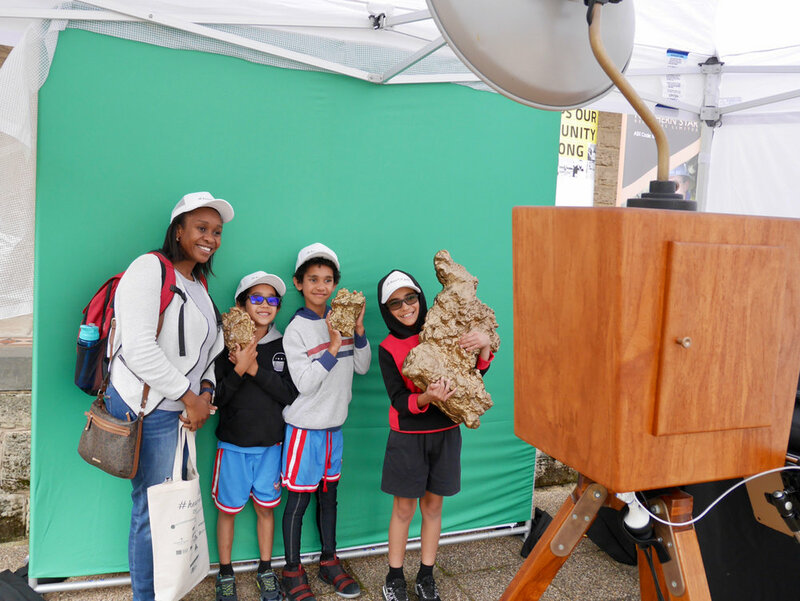 Before setting off, attendees enjoyed posing with large gold nugget replicas in an interactive gold mine site themed photo booth and exploring the inside of a gold mine using virtual reality. 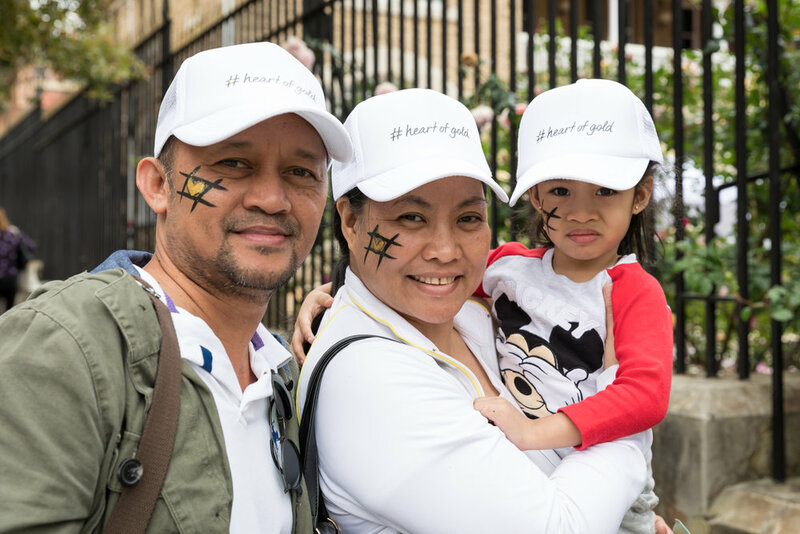 All the kids eagerly lined up at the face painting station to get their own glittery heart of gold. 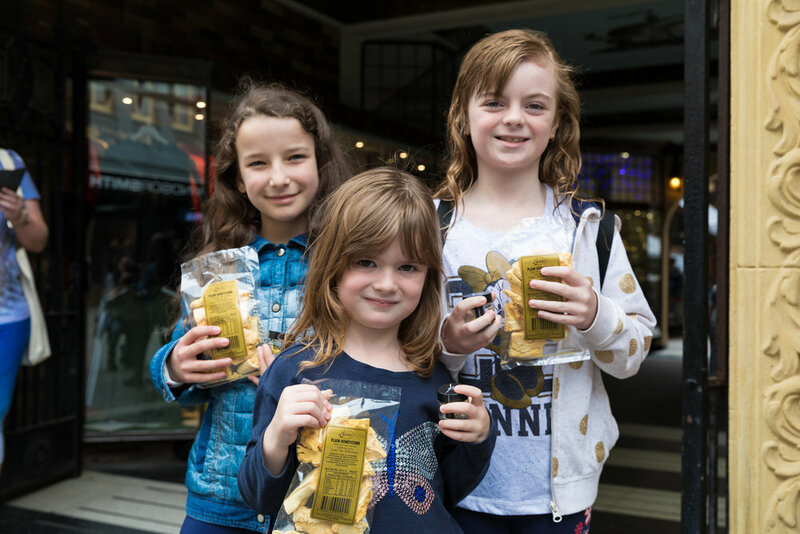 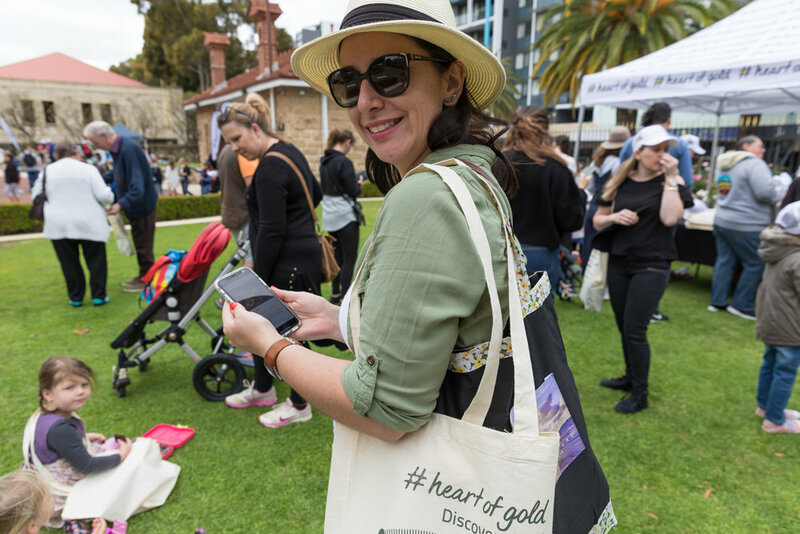 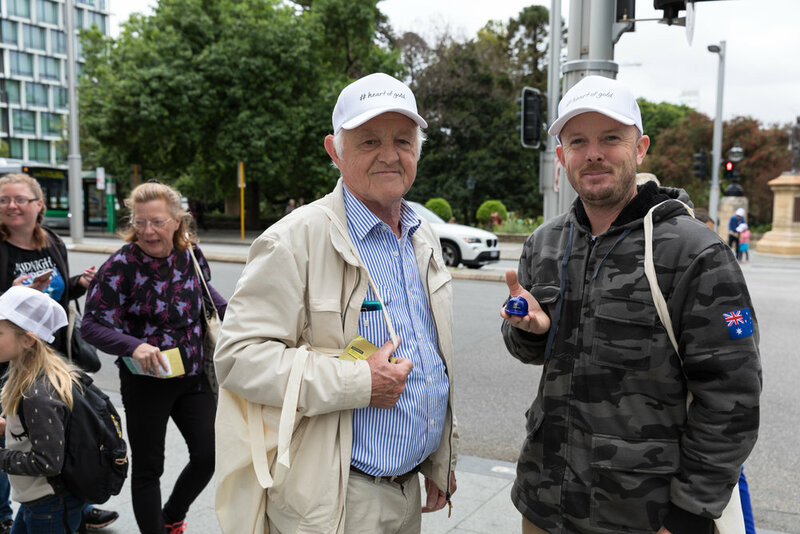 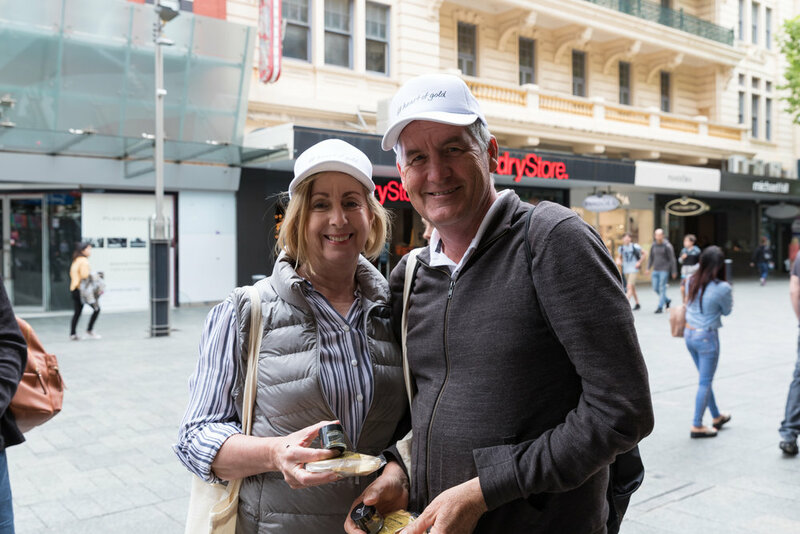 Collecting their free heart of gold cap, gold fun facts and eco-bag, walkers hit the trail using the free Heart of Gold Australia app. 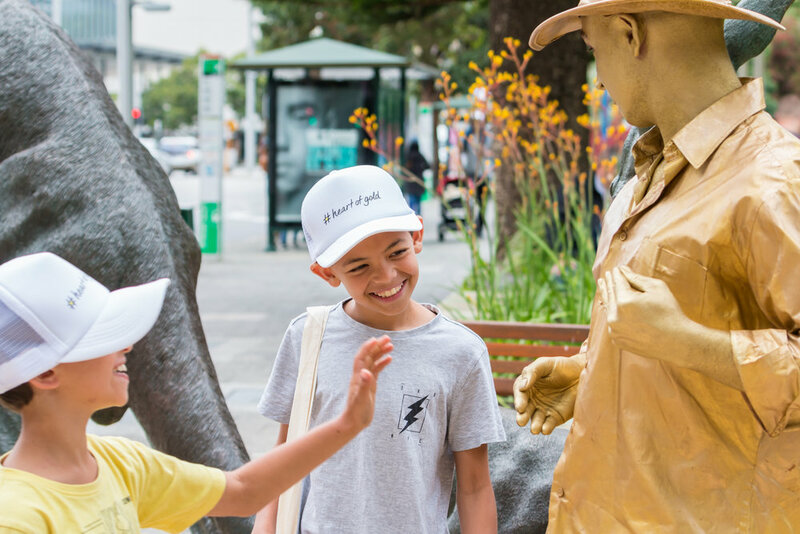 Traversing 11 sites of golden significance, trailblazers unearthed brand new content in the reverse version, including new augmented reality, fun widgets, fascinating tales and mesmerizing audio-visual clips. 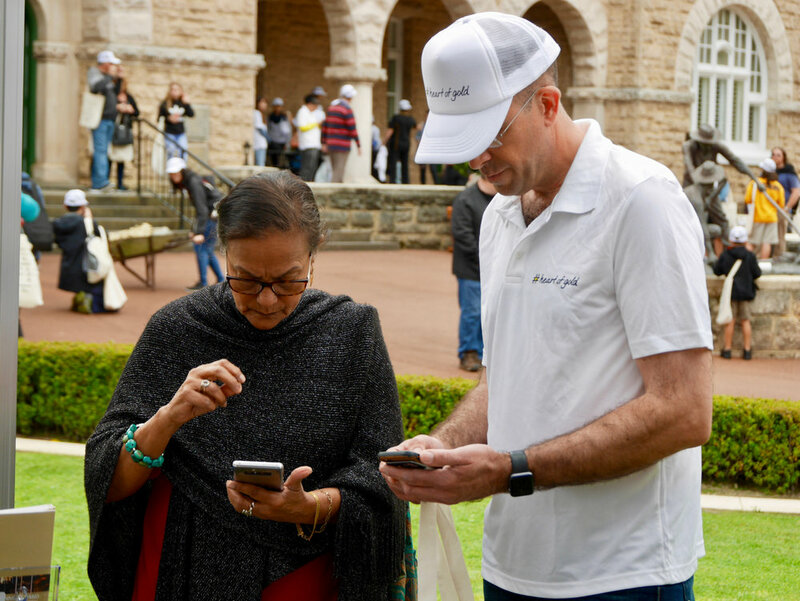 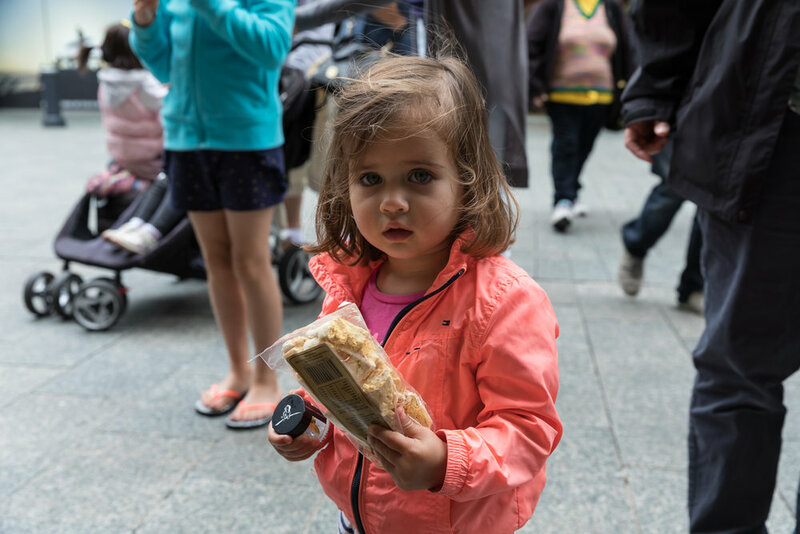 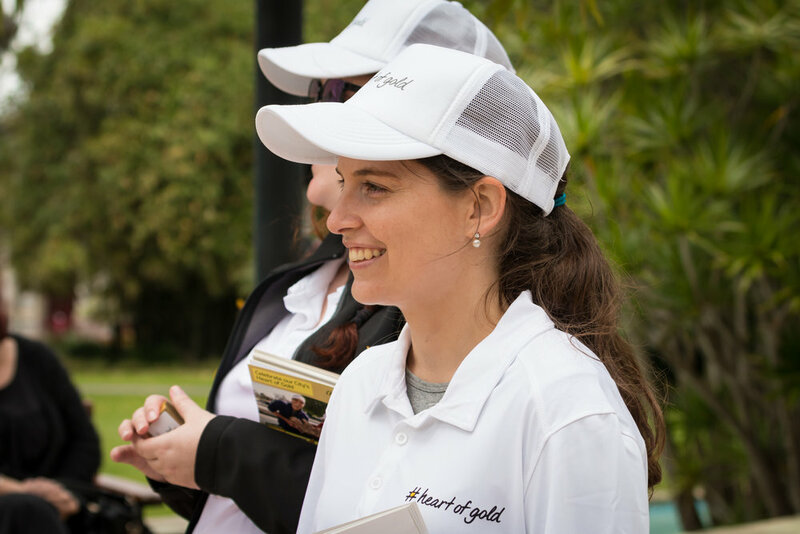 Along their journey, participants encountered sponsors AngloGold Ashanti Australia, Gold Fields, Gold Road Resources and Northern Star Resources at four trail stops, with golden gifts to collect including real gold leaf, phone chargers, chocolates and first aid guides. 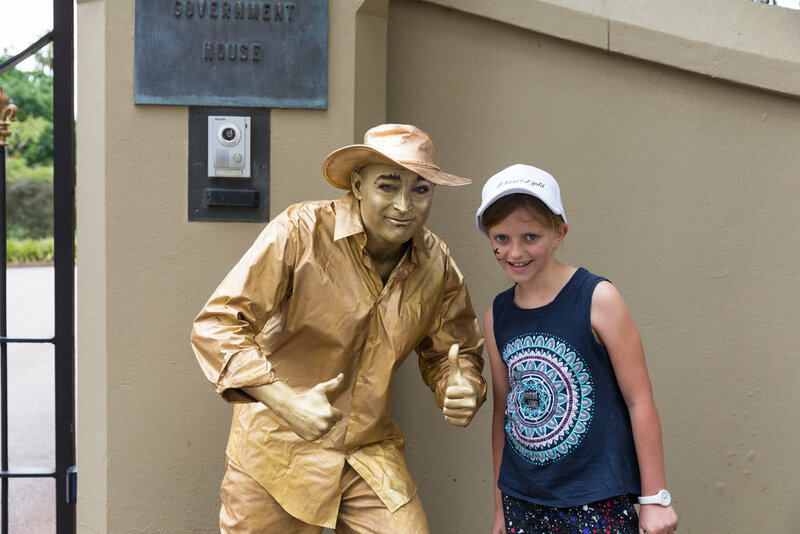 There was also an elusive ‘gold prospector’ hiding along the trail throughout the day, who proved popular in trailblazing selfies! 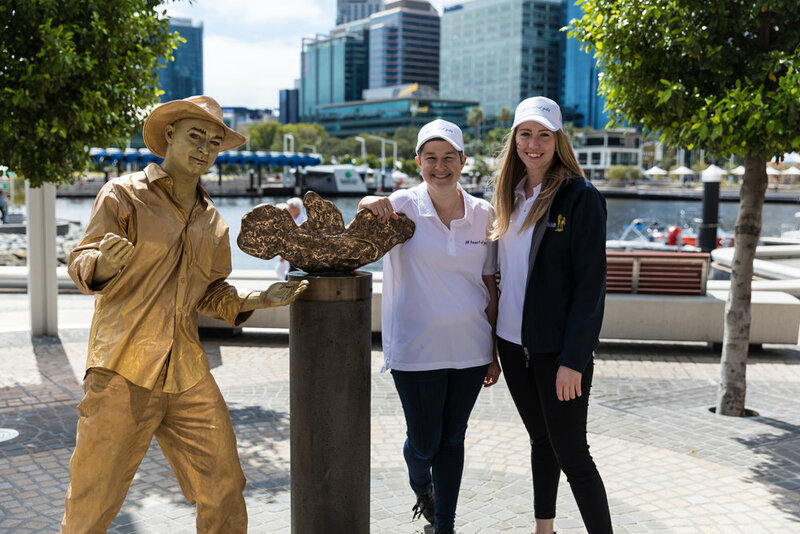 The Golden Eagle nugget replica marked the trails end where walkers claimed their commemorative #heartofgold medallion, along with special rewards: a ‘2 For 1’ pass to WA’s new Mine to Mint Tour, a gift voucher to Willie Creek Pearls’ Elizabeth Quay showroom and a free voucher to their live Pearl Harvest Experience on the day. 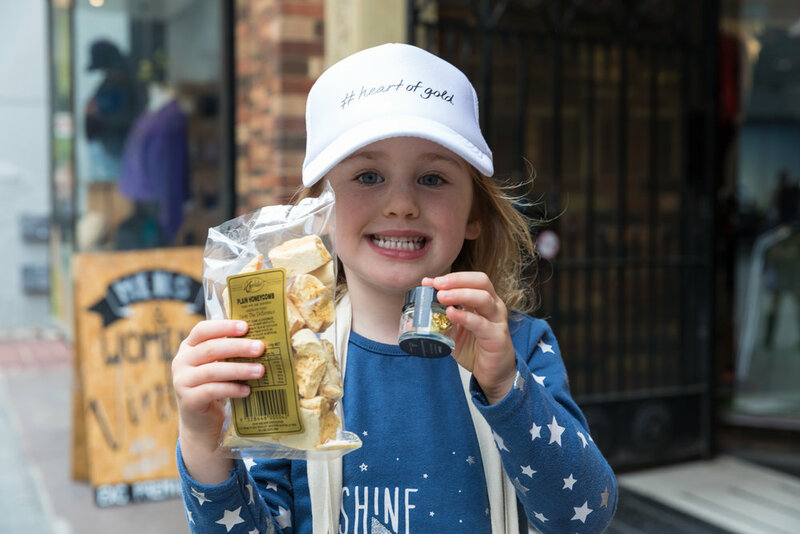 A big congratulations to our social media winner, Sam, whose trailblazing pics of her family scored them a real gold nugget from Ramelius Resources’ Gold Mine! 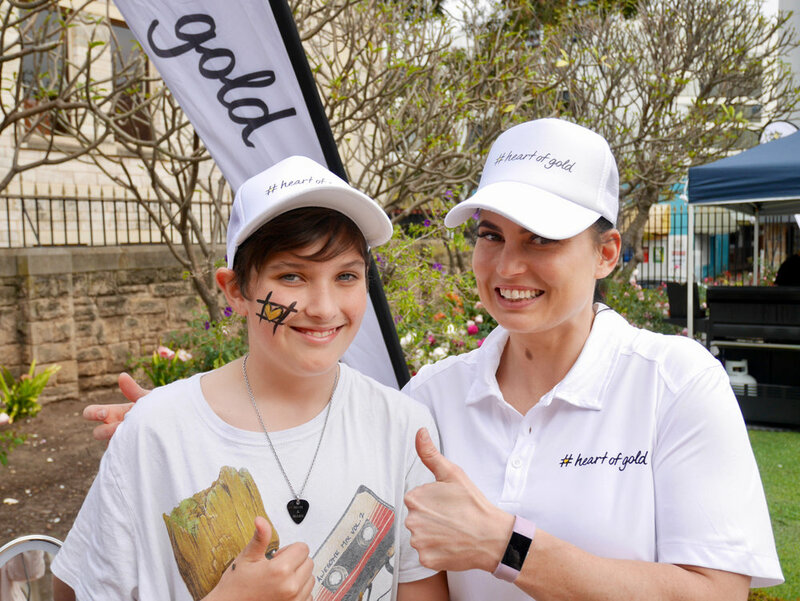 In the lead up to the launch we also gave away a gold iPad Pro and $400 cash to five lucky listeners of Mix 94.5. 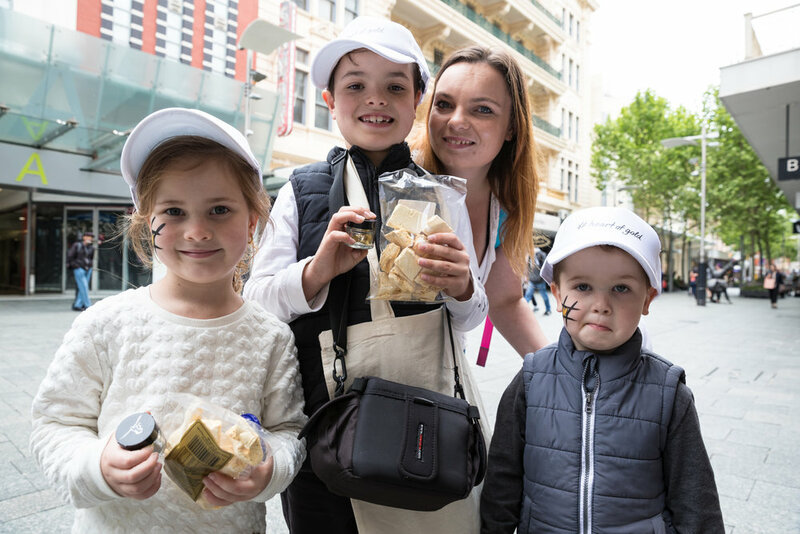 Congratulations to Danielle from Hillarys, Fiona from Osborne Park, Derek from South Yunderup, Paige from South Lake and Anthony from Middle Swan! 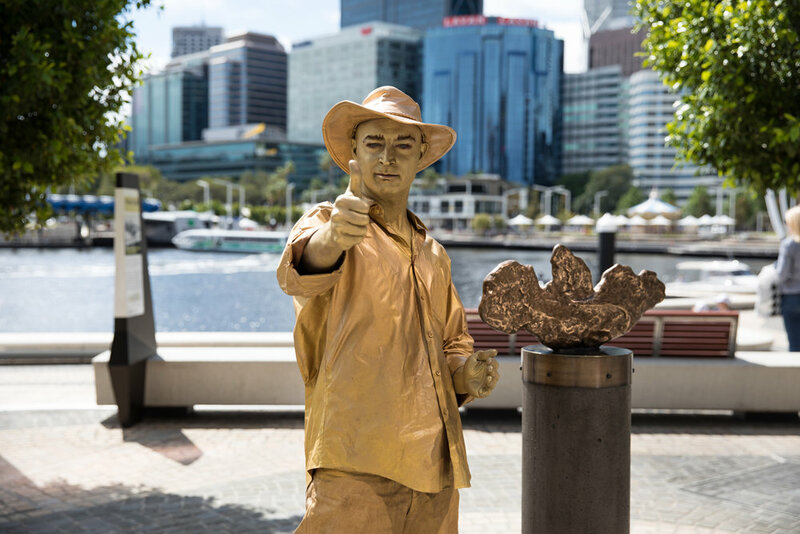 Don’t worry you can walk the trail in both directions using the free Heart of Gold Australia app any day of the year. 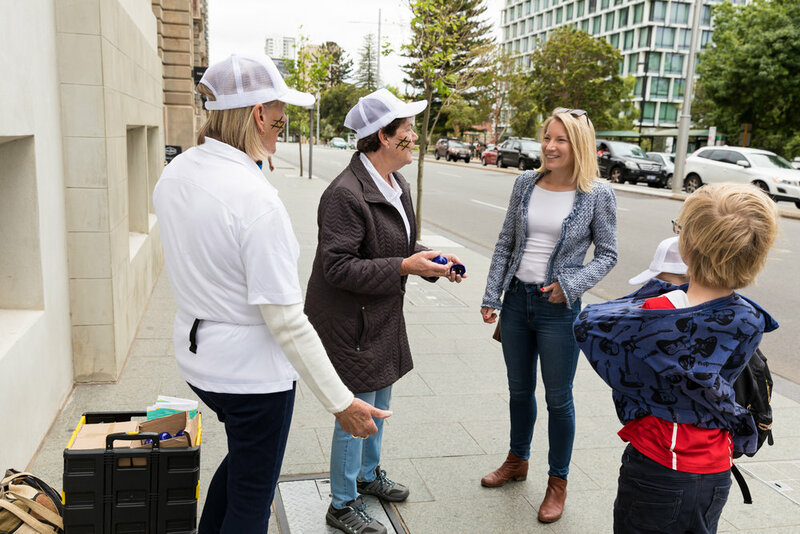 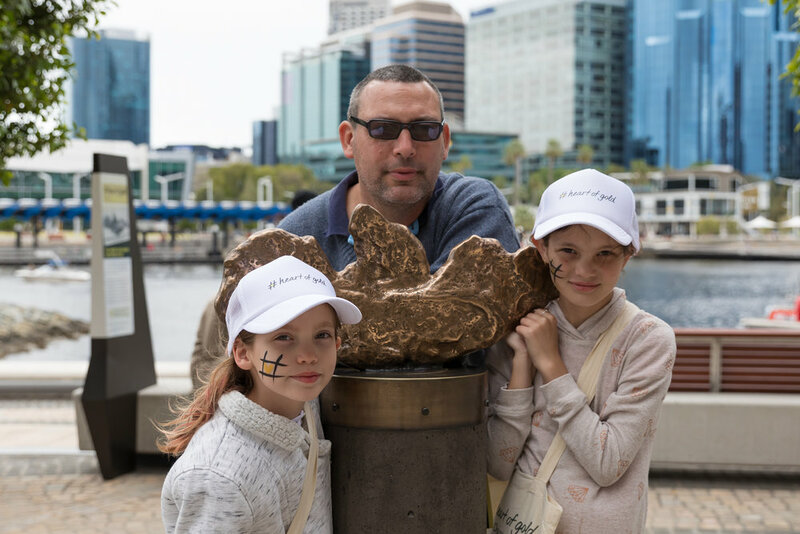 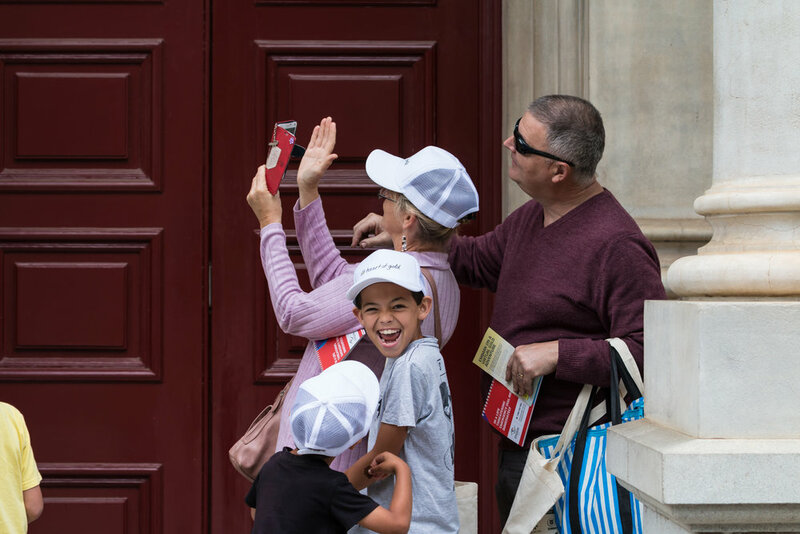 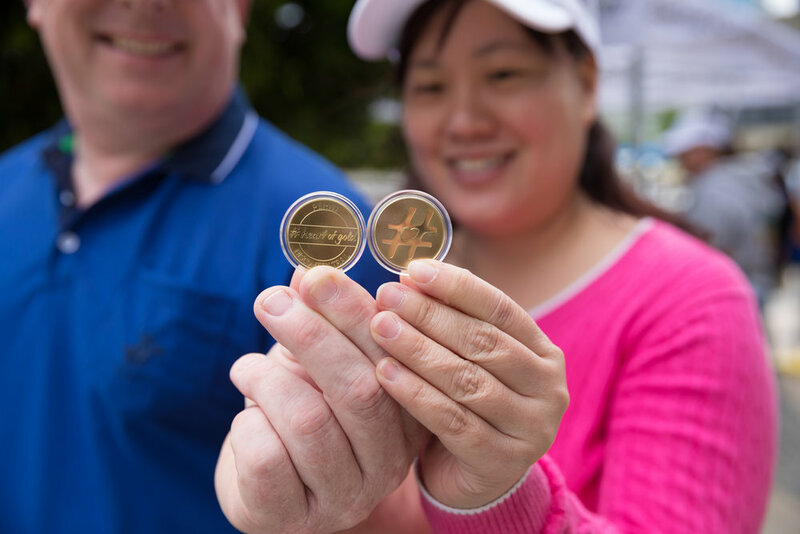 After finishing the trail at the Golden Eagle nugget replica and collecting your medallion from The Bell Tower, you can now extend your time in Elizabeth Quay by joining their Bell Chiming Experience Tour. 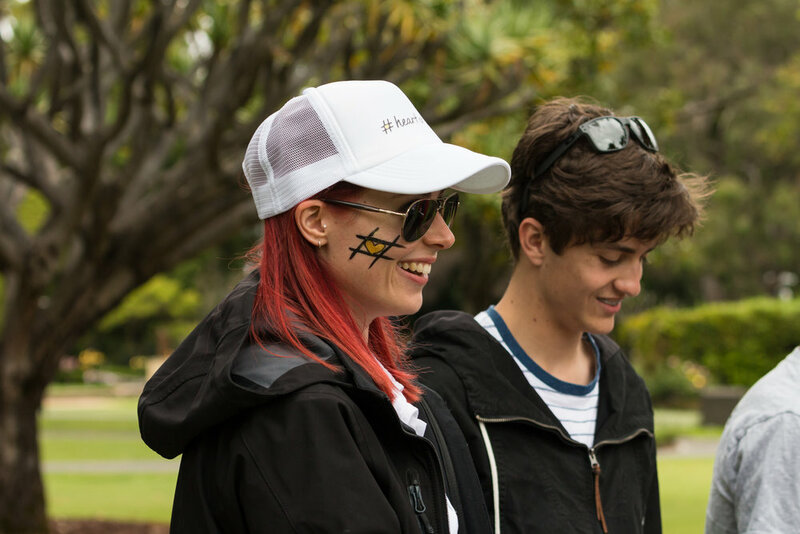 Mention the trail or show them the completed quiz screen to receive a discount! 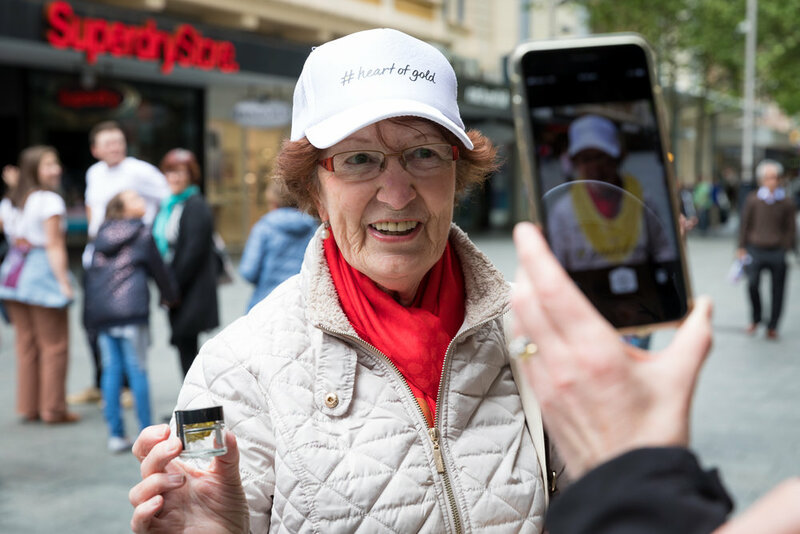 DOWNLOAD THE FREE HEART OF GOLD AUSTRALIA APP FROM ITUNES OR GOOGLE PLAY TO UNEARTH PERTH’S GOLDEN STORY TODAY. 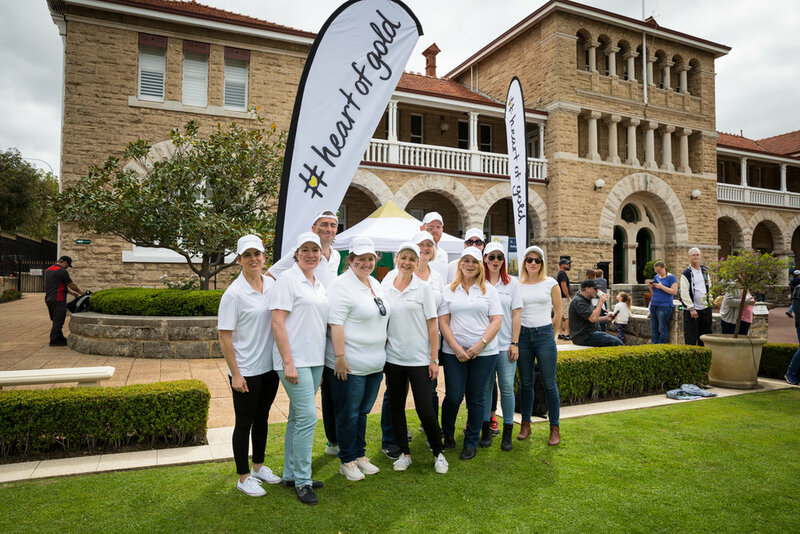 The Perth #heartofgold Discovery Trail is proudly sponsored by The Perth Mint, Northern Star Resources, Gold Fields, Ramelius Resources, City of Kalgoorlie-Boulder, Gold Road Resources, St Barbara Limited, Mining Education Australia, AngloGold Ashanti Australia and Saracen Mineral Holdings. 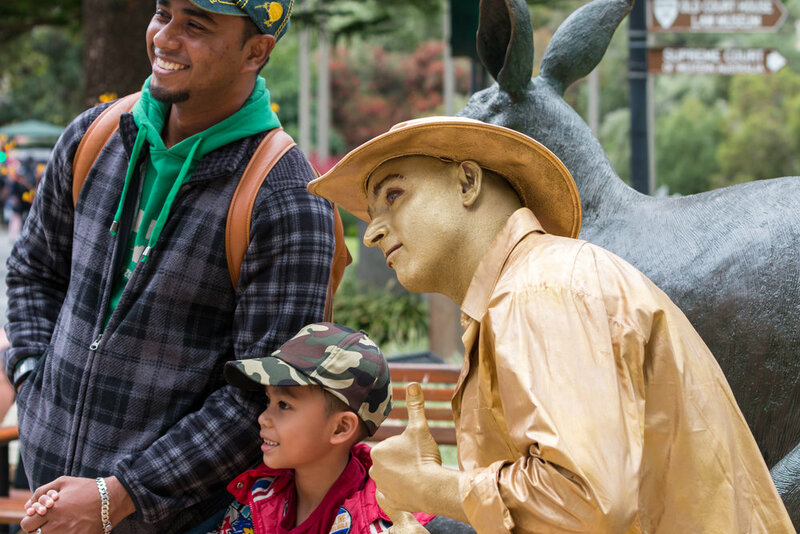 Hunting down the ‘gold prospector’ was a huge hit! 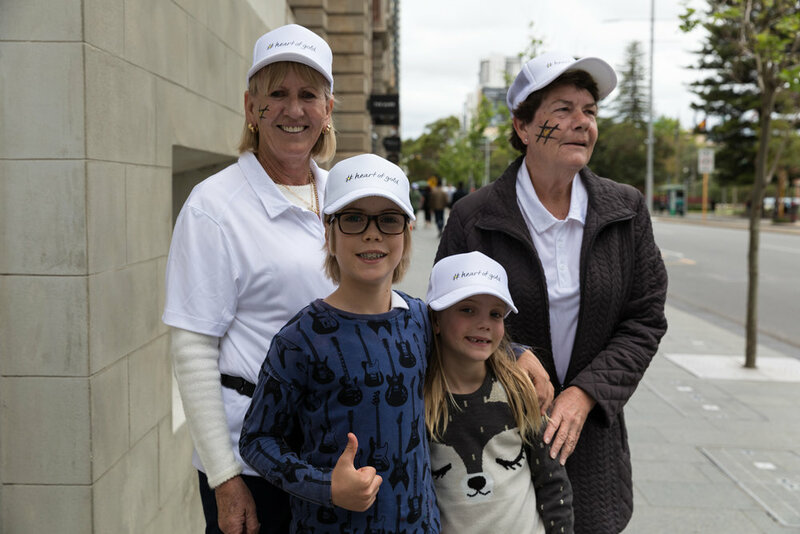 Families loved the unique experience the virtual trail offers. 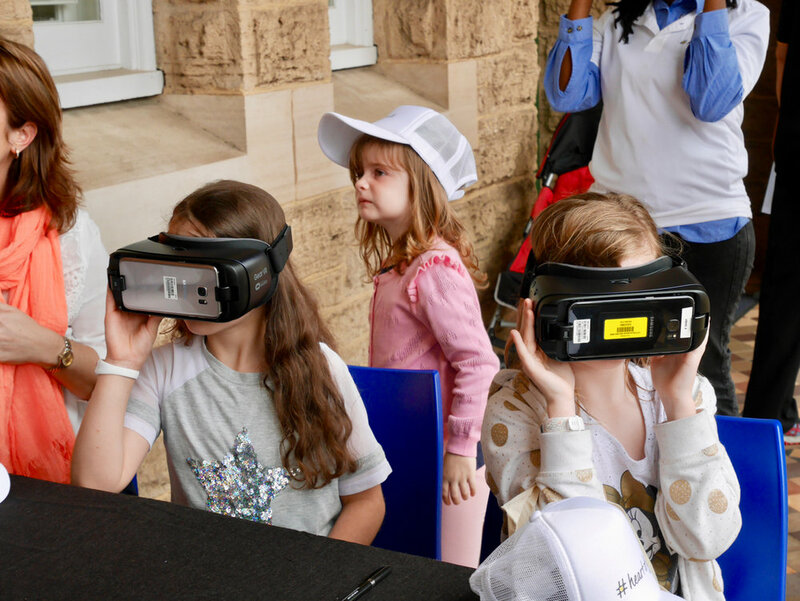 Virtually exploring a real gold mine thanks to the team from the WA School of Mines. 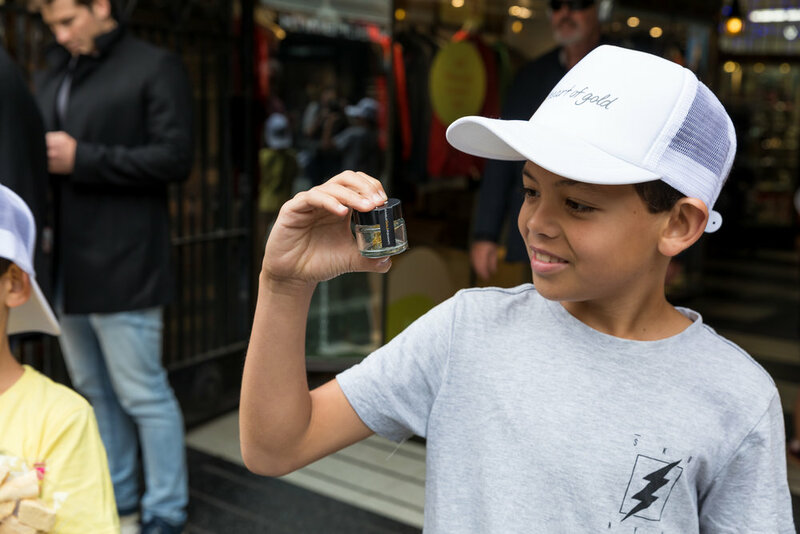 The event appealed to even the youngest of prospectors! 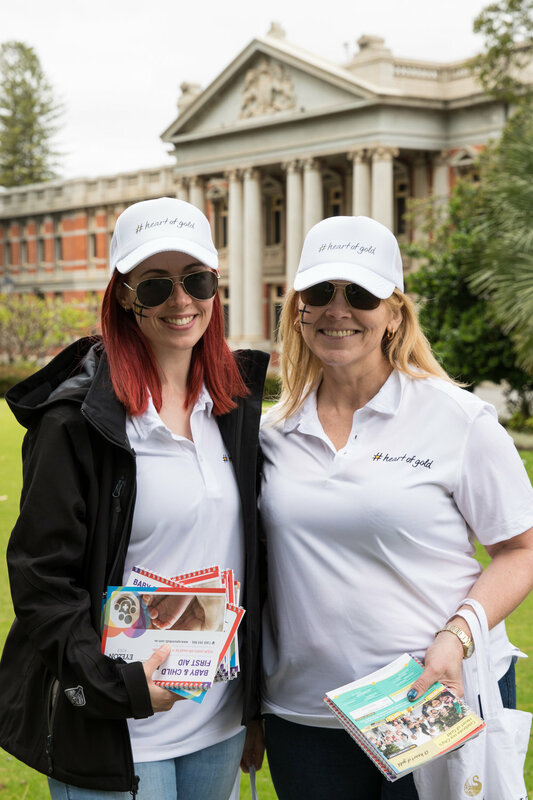 Shout out to our amazing volunteers!